Chhim Vin (on the left) during class at L'ak village. Ratanakiri Province, Cambodia, December 2018: At L’ak village primary school in Ochum district, nine-year-od Chhim Vin goes back to class after the break and directly sits next to his best friend, Ya Rean. Like all his classmates, he is quietly listening to his Grade 1 teacher who is explaining the importance of washing their hands. If he is paying so much attention, it is because he realizes the value of education even though it has not always been the case. Because of disability in his leg, he did not want to go to school for a very long time. Ratanakiri Province, Cambodia, December 2018: In the remote village of Tien in Ratanakiri province, Rocham Thai proudly writes in Khmer her name, age and class on her notebook. The 12-year-old Tampoun girl is deaf-mute, but it does not prevent her from getting access to education. She has just started Grade 4 but is already planning on continuing her studies up to higher education with the support of her parents and of the commune. She shares this common dream with her little brother, Rocham Brek, 10 years old, who is also deaf-mute and who started Grade 1 this year. 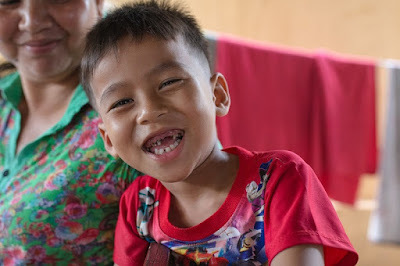 Unable to walk since his birth, the life of Rocham Brek changed in April 2018 when the village chief got in contact with an organization who offered the young boy physical rehabilitation in Kratie. Through life skills education, Cambodian adolescents are building confidence. Siem Reap, Cambodia, December 2018: Cambodia’s Siem Reap province is perhaps best known for the ancient temples of its Angkorian Empire. Crumbling remains stretch from Ankgor Wat to distant rice fields, symbols of Cambodia’s ancient history. But Siem Reap contains not only Cambodia’s treasured past; inside Arang Raingsey Lower Secondary School, on the rural outskirts of this bustling city, adolescents have their eyes set on a promising new future. Four UNICEF youth evaluators in the field. Phnom Penh, Cambodia, December 2018: It was a special week for Aing David, Nao Vanny, E Vy and Thorn Sreynang from Ratanakiri, a province, located in northeast Cambodia. Along with eight other students and with support from UNICEF, they implemented the first youth-led review for two UNICEF initiatives - the Magic Classroom (Title in Khmer: Prai Krala) and the Community Preschool Programme’s playgrounds. Chea Lach in front of her house, Ratanakiri. 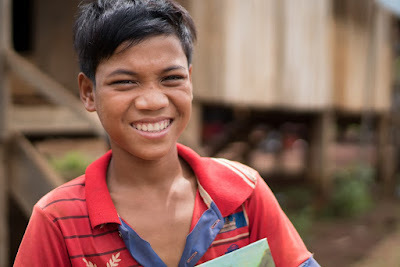 Ratanakiri, Cambodia, December 2018: For many children school can be a daunting place, but for those children who don’t understand the language their teacher speaks, it can prevent them from going to school altogether. There are thousands of indigenous children in Cambodia, mainly in the north-eastern provinces, where there is low preschool enrolment, high drop-out rates and many students repeating grades. 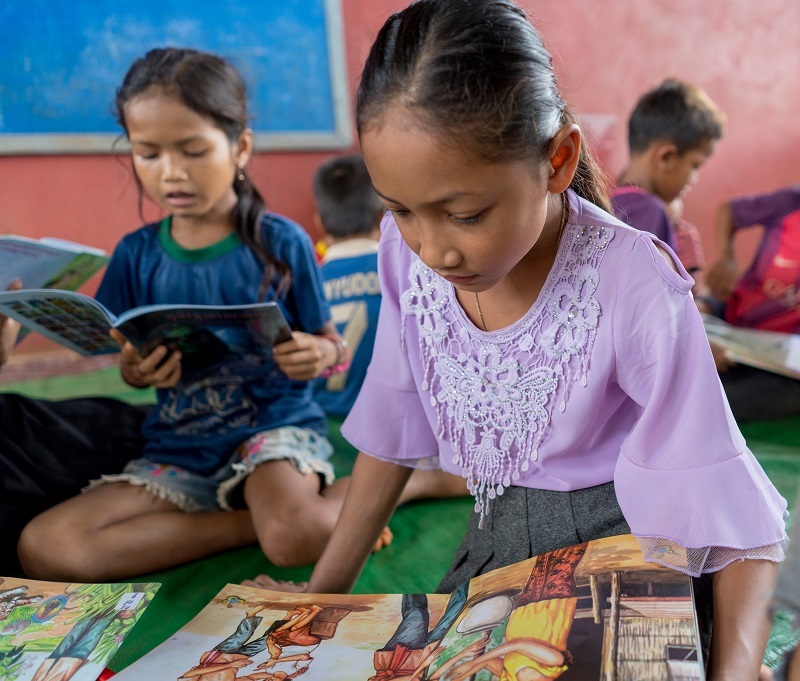 But teachers like Chea Lach, who are trained to teach children in their native language, are making a positive impact on keeping indigenous children in school and completing their studies. 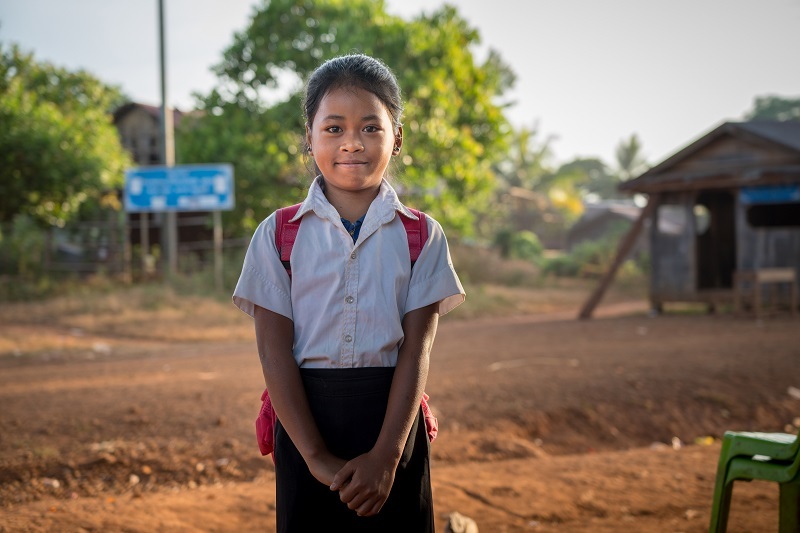 Ratanakiri, Cambodia, December 2018: For 11-year-old Loul Bopha, school is one of her favourite places, but this wasn’t always the case. Before the introduction of multilingual education into her school she felt isolated and unable to interact with her teachers who taught in Khmer, the national language of Cambodia. Loul lives in the small rural village of Kres in Ratanakiri, where the indigenous language is Kreung, and for her and her family the local school represented a culture they couldn’t relate to which meant Loul was often reluctant to go to school. For many children in rural communities who speak a minority language this often means they drop-out of school and end up working on their family farm from an early age. Schoolgirls at Trapaing Seika primary school. Prey Veng, Cambodia, December 2018: In 2004 Trapaing Seika primary school was a healthy environment where, thanks to efforts by UNICEF and its partner Aeon, through the Japan Committee for UNICEF, children had access to two toilet blocks with six toilets. But by 2008, the water, sanitation and hygiene (WASH) facilities had fallen into disrepair and the children had to practice open defecation. Ratanakiri, Cambodia, December 2018: In this edition of Faces of Cambodia, we look at stories of children in the province of Ratanakiri. Ratanakiri is about a nine-hour drive northeast of Phnom Penh—the nation’s capital—and is located near the Cambodian and Vietnamese/Laos border. Ratanakiri is best known for its beautiful waterfalls, diverse ethnic communities, a lake in the middle of a mountain formed by an ancient volcano, and as the destination from which trekkers leave for their jungle excursions. Makara who has just woken up from his nap gives a big smile. ‘Disability inclusion’ is part of the multilingual education and sub-national administration training modules and it covers topics such as the definition of disability, the rights of people with disabilities, discrimination, acceptance, and support. Thanks to these educational trainings, children with disability are having more opportunities and receiving better care from their families and friends.